Where is the place you absolutely need to babywear? Doing chores, yoga class, or while cruising the aisles alone at Target? And if you aren’t already babywearing, why should you start now? I’m going to introduce today not only the AMAZING new Boppy ComfyFit Baby Carrier, which was inspired by yoga apparel, but also talk about how wearing your baby can promote great sleep and strengthen the bond between parent and baby. What are the signs of acid reflux, when to call your doctor if you suspect it, and as a parent, how can you help your baby sleep with acid reflux? Affecting nearly 1 in 4 newborn babies, this ugly but common baby medical issue can be the major underlying problem causing multiple issues in your baby’s life. 8 Hours by 8 Weeks didn’t come easily or without consistency. The first was implementing a consistent Eat-Play-Sleep schedule. The second was encouraging one nap per day in the crib. The third was keeping my baby up for full feedings, and not allowing him to exceed his napping minimums. Read more! As a special Thank You to all of my dedicated readers, I'm sharing my super easy (& super secret) Spring Forward Daylight Savings sleep tips today in this post so you can enjoy your summer alongside me! Wake up- this is parenthood- don't all good things come to an end?! Guess what- this one doesn't have to. Read more to find out how you can use this time change to your parenting advantage! Parenting can be utterly exhausting, which is why today we are diving deep into the real reasons why your Baby wakes up every 2 to 3 hours at night! Sleep regressions occur at/around the following months: 4 months, 8 months, 12 months, 18 months, and 24 months. How many naps does my baby and/or toddler need? How long should they be? (Bookmark or PIN this page, trust me you’re going to want to come back!) Let’s make your life just a little easier- grab a glass of Pinot or a cup of tea and digest this nap breakdown from birth to 3 years old. Find out here why your baby is waking up too early, and how to help them sleep in later! I am a HUGE believer of swaddling newborn babes. When done correctly, swaddling can help your baby sleep better, soothe a fussy baby and reduce SIDS risk. And when paired with a consistent sleeping area and white noise, you're well on your way to establishing healthy sleep habits. Here we will talk about all the mysteries surrounding sleep in the summertime, how you can avoid potential sleep hurdles at home or while traveling with children, and sharing our secret tips to help your child embrace sleep while enjoying some sunshine! Between 6-8am is an age-appropriate wake time for children, but what about those that wake before 6am ready for the day? Baby has finally arrived, and it’s the first night home from the hospital- but what should your baby wear to sleep at night? And what about your older toddler? 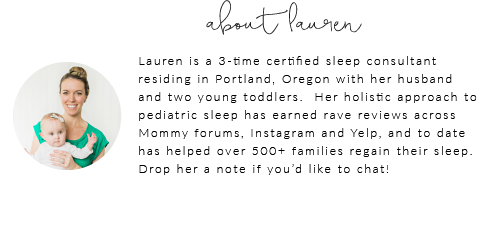 Hi, I’m Lauren, certified Sleep Specialist with Sleep and the City, and I’m talking today about how to dress your child comfortably at night during any season (and at any age!) and provide the optimal environment for quality sleep. Throughout my post today I’ll also include some of my favorite examples of clothing and bedding from TealBee.com, so let’s dive in! WHEN to Expect Your Baby To: Sleep Through the Night, Drop the Swaddle, Night Wean and More! “When can my baby sleep through the night? When can I stop swaddling? and “ When can I drop the dream feed?” are some of the first questions as a Mom that I found asking myself (and Googling for hours). With so much conflicting information and advice from my friends and the Internet, I decided to really dedicate myself to learning as much about infant sleep as possible. Knowing what to expect and about WHEN to expect it made me feel just a little less crazy in the Motherhood department!